For over 20 years Rental Network Property Management Inc., Socorro’s Premiere Property Management Company, has been setting the professional standard of providing excellent management services to realtors, property owners, and residents who are looking for the very best property management. Because our proven record of success has driven our company to grow each and every year since inception, Rental Network now manages more rental properties in the Greater Socorro area and Southern New Mexico than ever before. If you are looking to lease rental property in the Greater Socorro area, use our comprehensive search to find your next home. 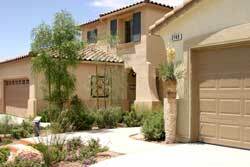 As a highly experienced, locally owned and operated Socorro Residential Property Management Company we take a hands-on, cost-effective approach to managing properties, and you’ll benefit from our individual service, and attention to detail. We’ll take care of the management chores for you so that you can sit back and enjoy the benefits. We’re an honest and trustworthy team, so call Rental Network today to and find out how we may be able to make your rental more profitable. Our Broker and our managers have completed many classes in subjects such as ethics, residential inspections, legal (agency) issues, mold, technology, management techniques, investment strategies, paperless offices, low-income housing, and more. Rental Network, a full-service Real Estate Brokerage firm, was founded on the need to "complete the circle," combining high quality Property Management as well as leasing of executive rental homes. 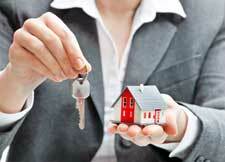 Do you own investment property? Then you should be a part of the Rental Network! Socorro was established in 1680 by Spaniards and Piro Indians fleeing the Pueblo Revolt in northern New Mexico. It took its name from Socorro, New Mexico, the town in central New Mexico from which the Piros had originated, which had been given the name Socorro (Spanish for "aid" or "succor") by the Spaniards due to the helpful attitude of the Piro toward the Spaniards at the time of first contact. The probable date of a Mass celebrated in the mission church of Nuestra Señora de la Limpia Concepción del Socorro, October 13, 1680, is regarded as the founding date of the city called Socorro the Spaniards and the Piro they brought south with them from New Mexico established in Texas. It was first incorporated in 1871 and was re-incorporated in 1985 in response to an annexation attempt from neighboring El Paso.